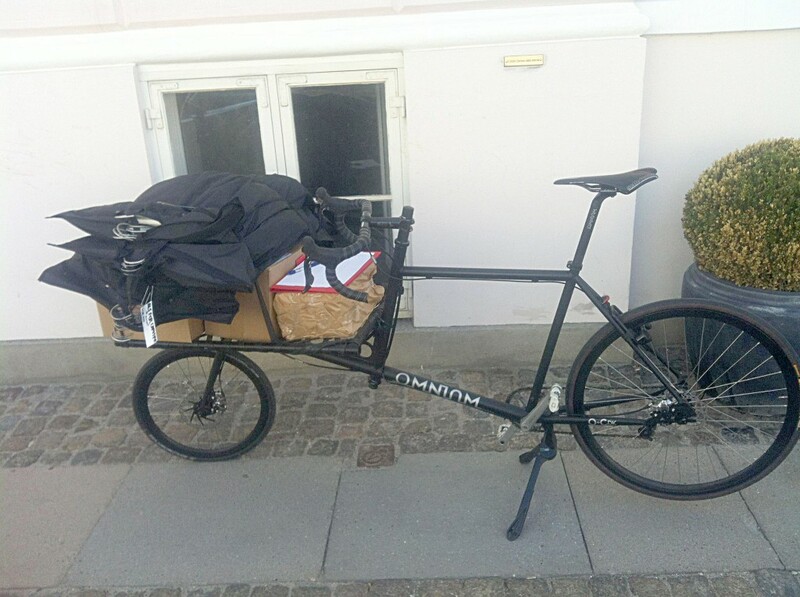 Please send us photos of your real world Omnium and any details about how it’s set up and what you like to carry and we’ll post them up here. 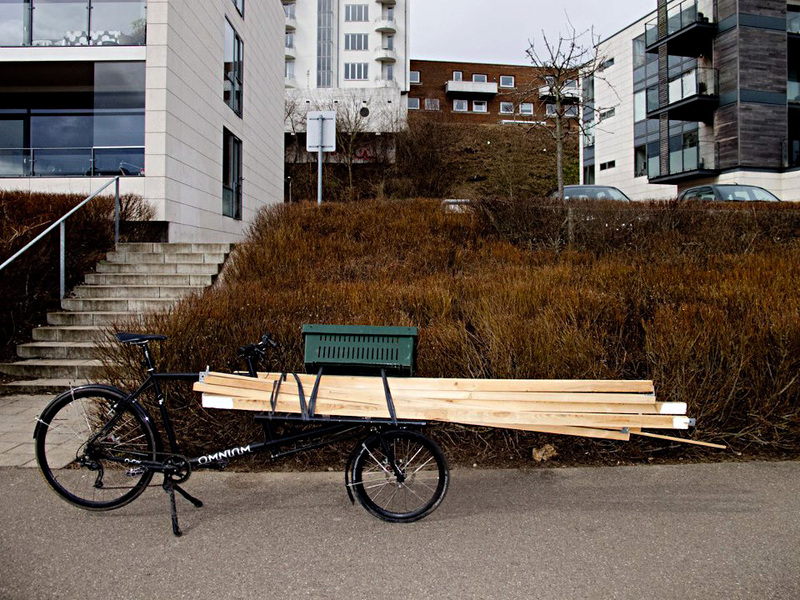 Here’s an Omnium Cargo doing it’s job in Aarhus, carrying a huge and very long load of wood. 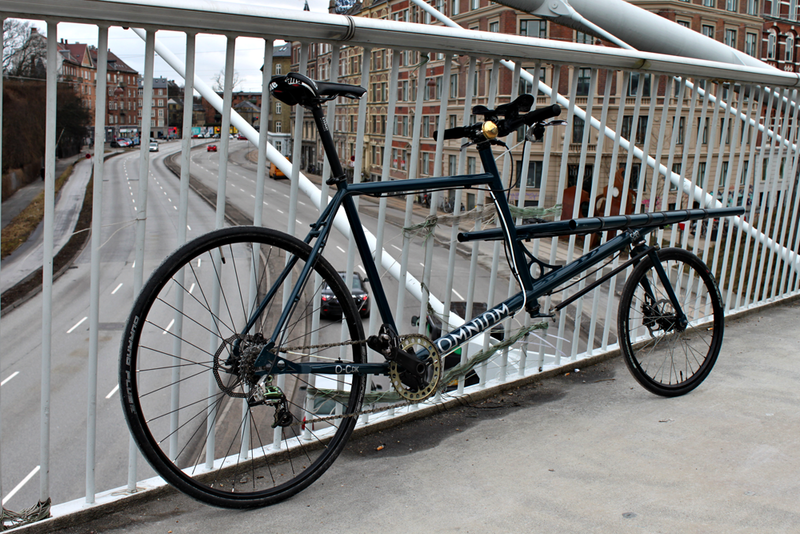 The owner said it was a smooth easy ride as long as he remembered to turn a bit earlier than normal! 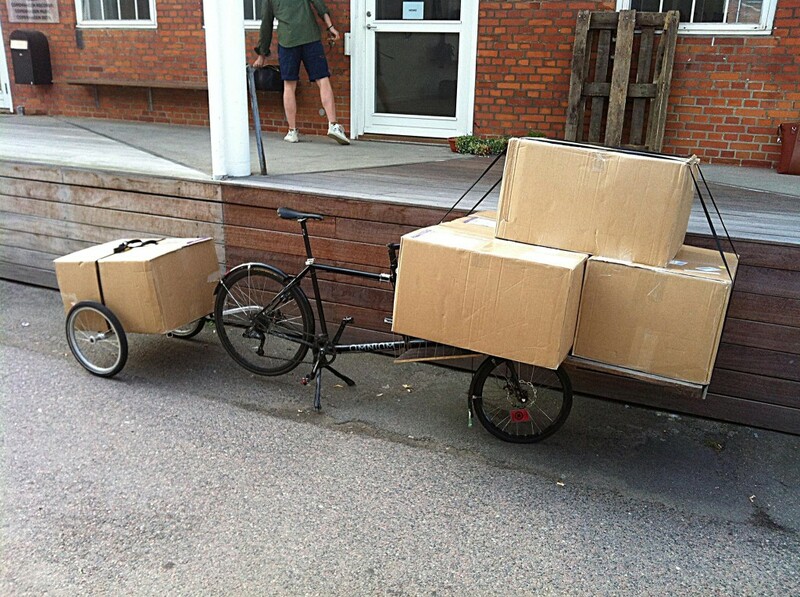 An Omnium Cargo boxed up for delivery being transported by another Omnium Cargo. 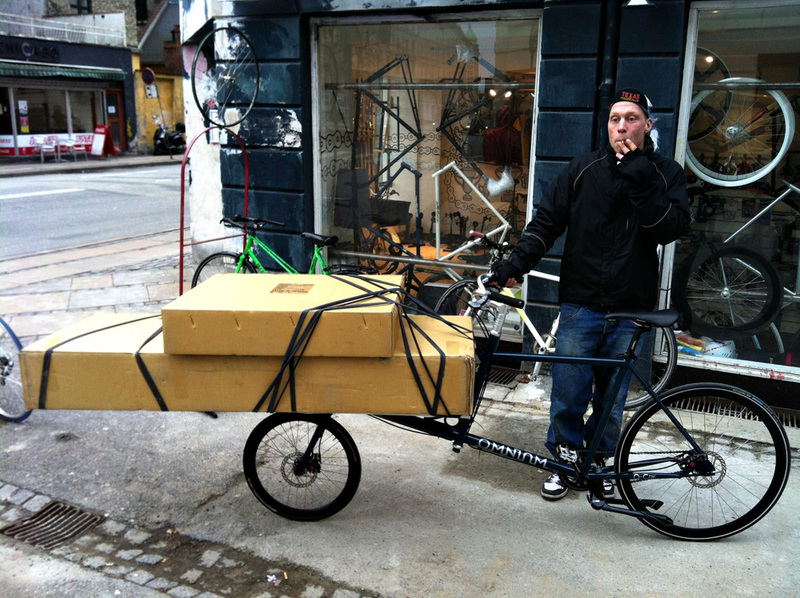 Here’s a messenger from ByExpressen taking delivery of his new Omnium Cargo. 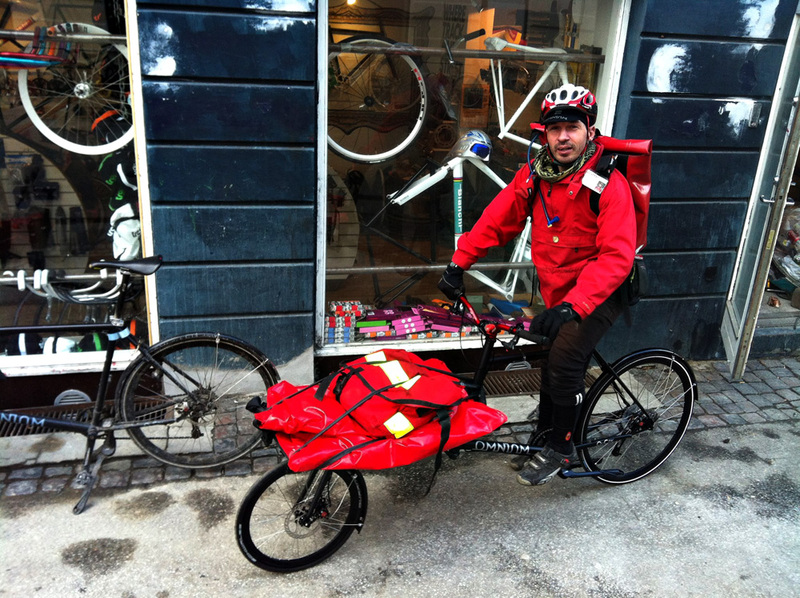 A bike tough enough for the rigours of daily delivery work. 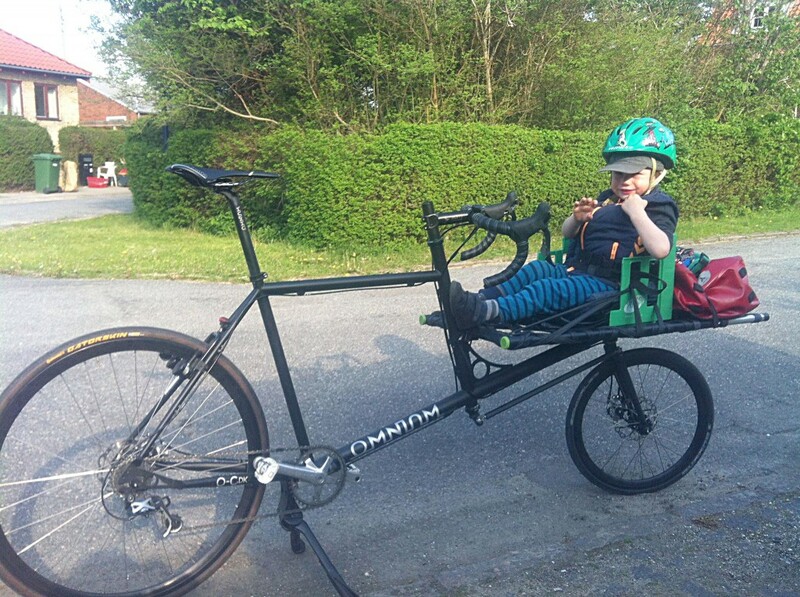 A very junior Omnium passenger enjoying the view from the top tube. 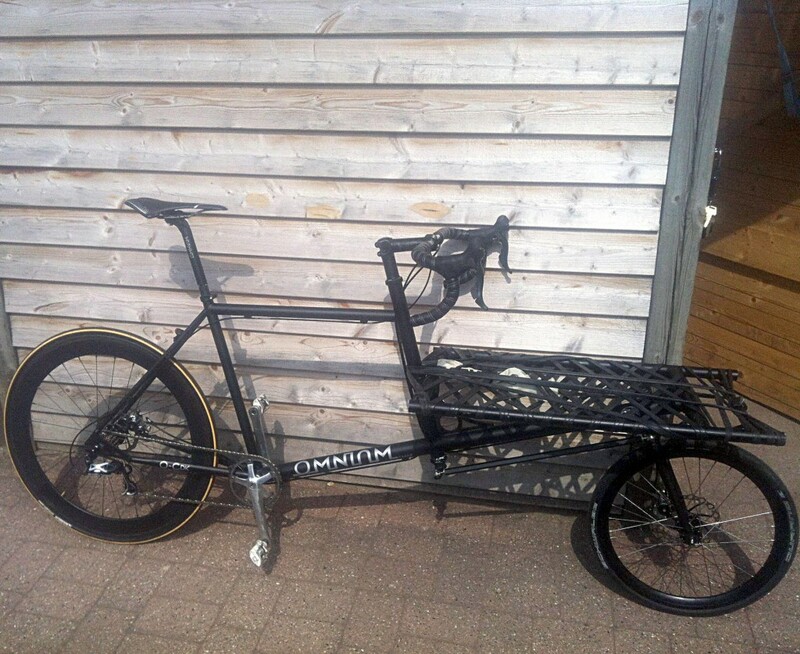 A nice custom build Omnium Cargo. 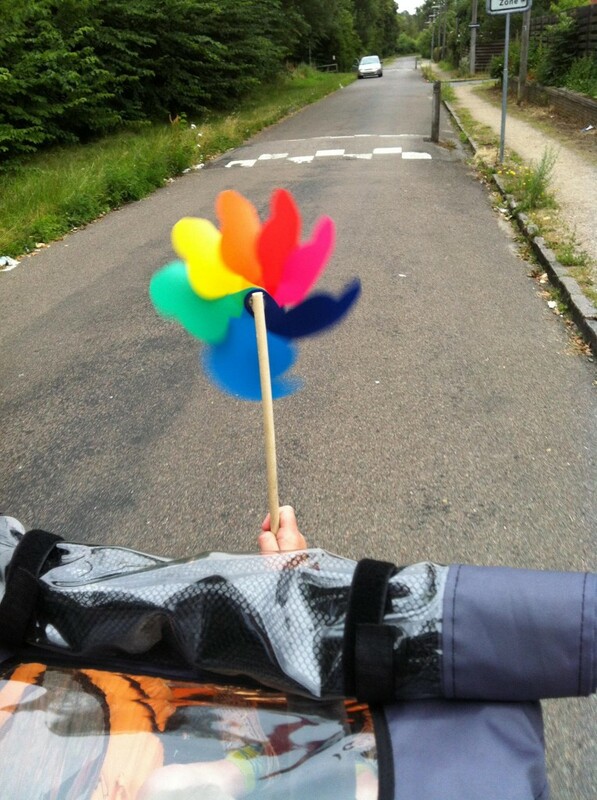 Now living in Berlin! Carrying 80 kilos of coffee in the waterproof Big Bag. 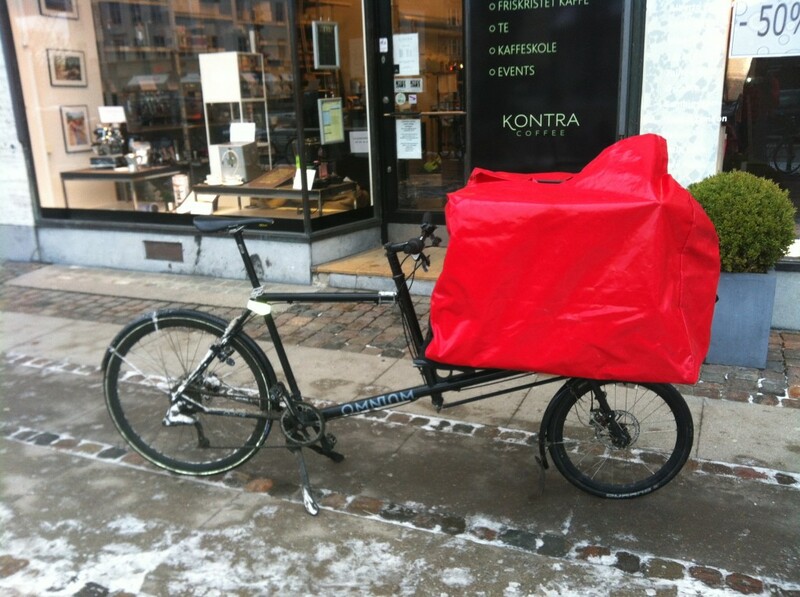 A ByExpressen rider explaining the way of life as a cargo messenger in Copenhagen. 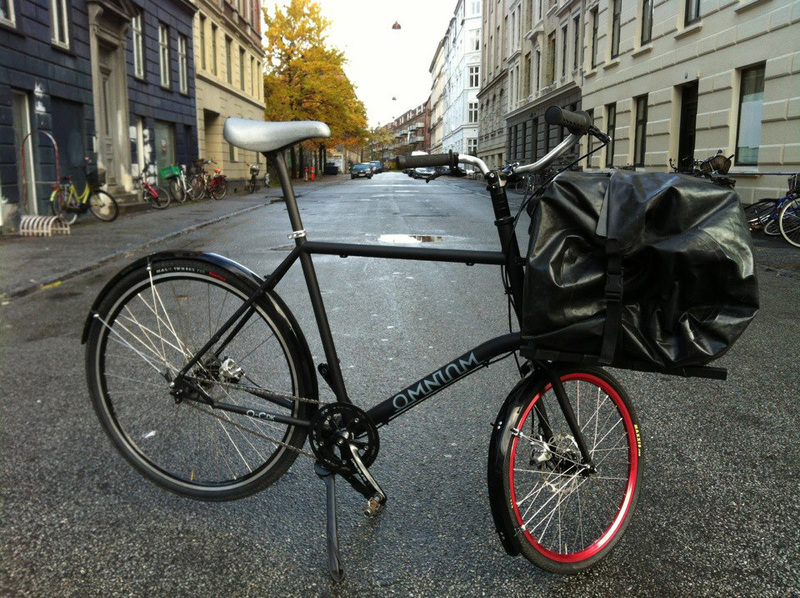 An Omnium Mini with a Big Bag. 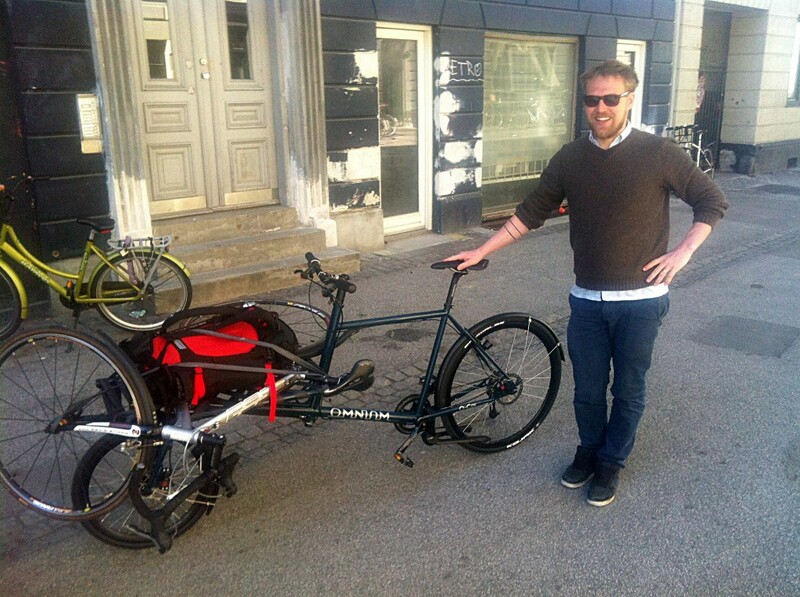 Small bike, big capacity. 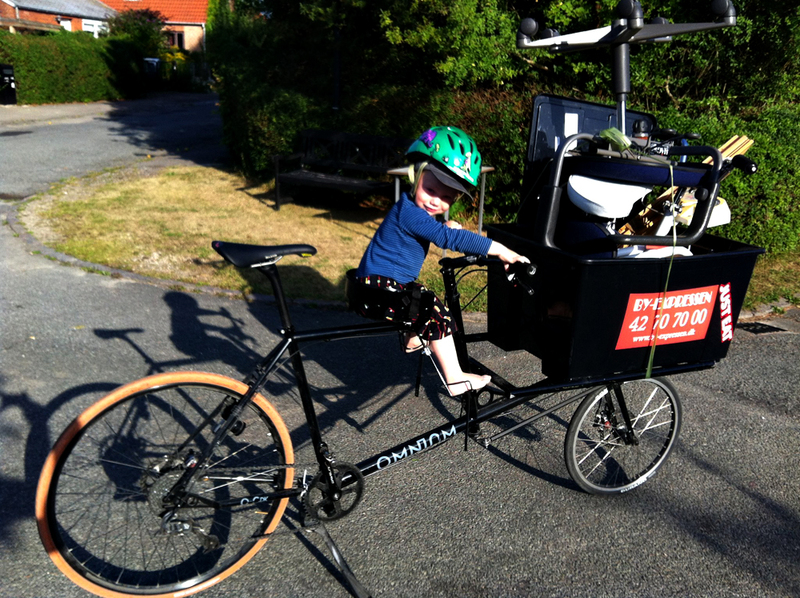 New owner ready to ride home. 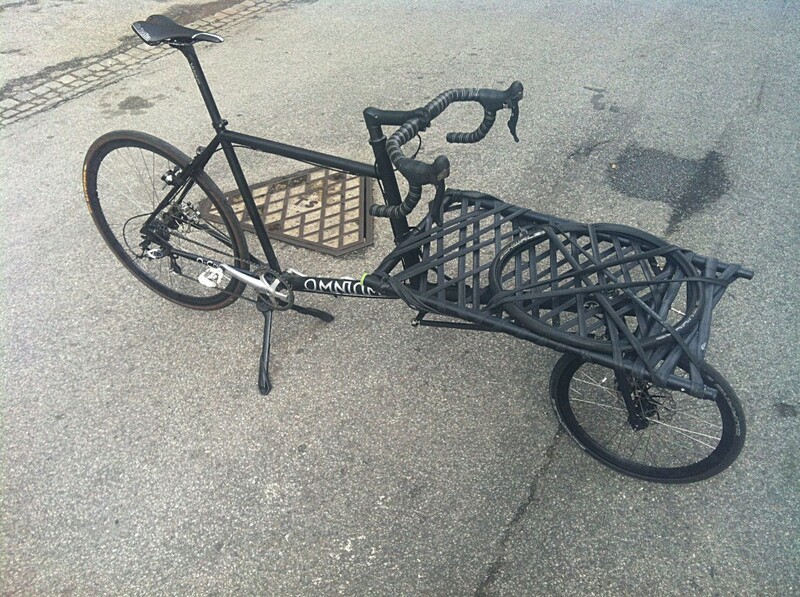 Taking your other bike home on a new Omnium. 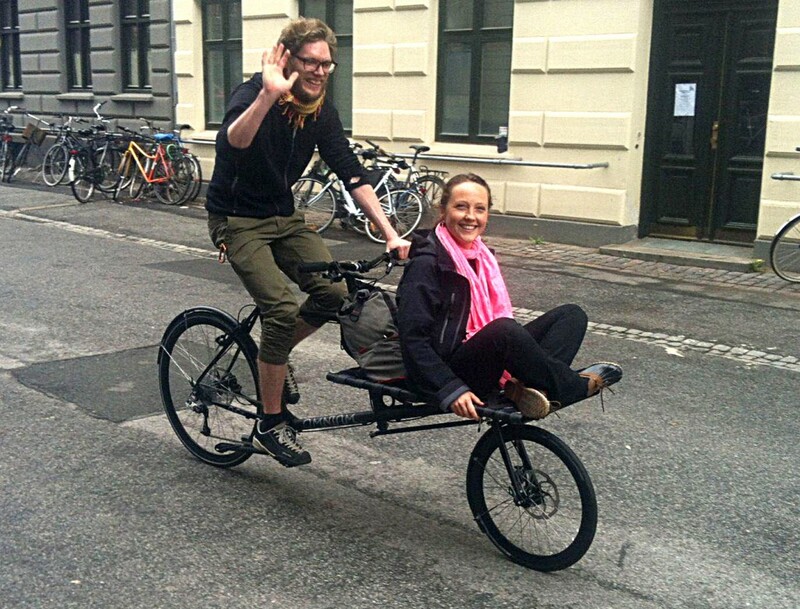 A couple of happy Omnium riders. Some smart suits on the rack. On the way to a wedding party? 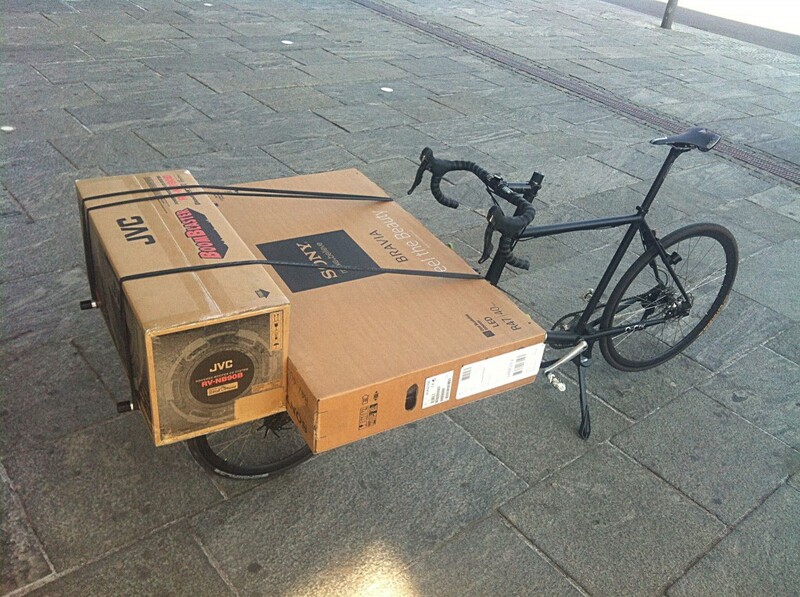 Home entertainment centre being delivered. 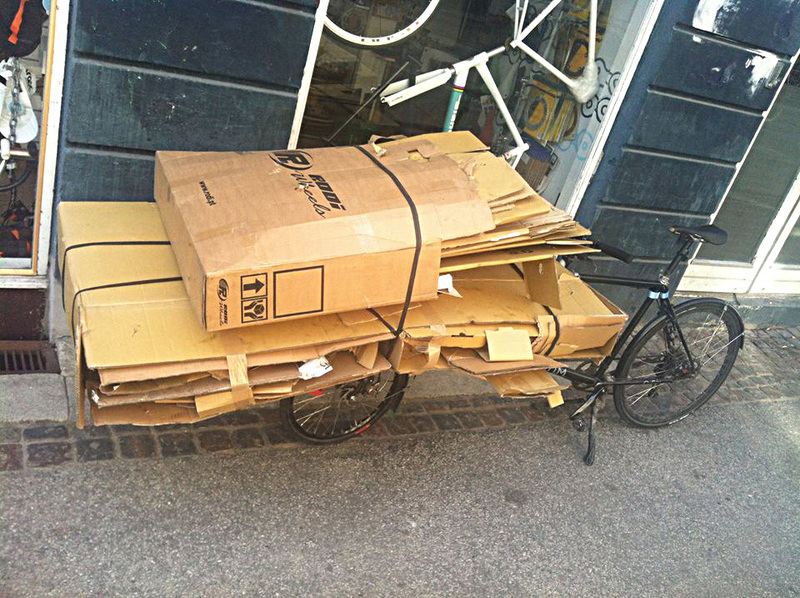 Another trip to the recycling centre. 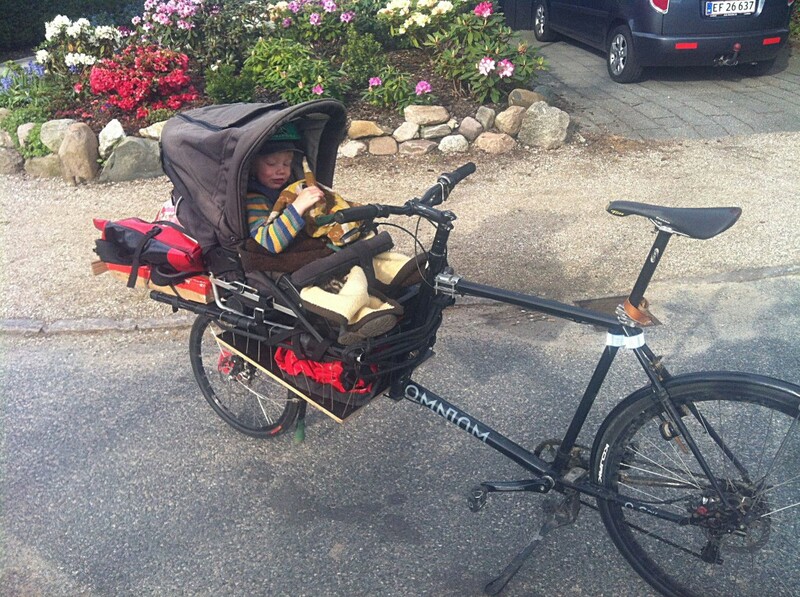 Our junior passenger tests a prototype milk-crate seat. 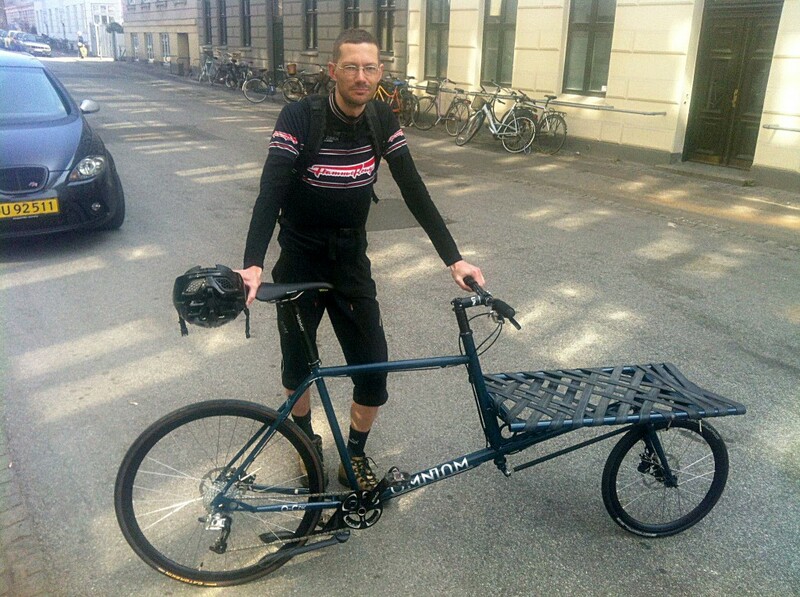 Plenty of space for a spare tyre. 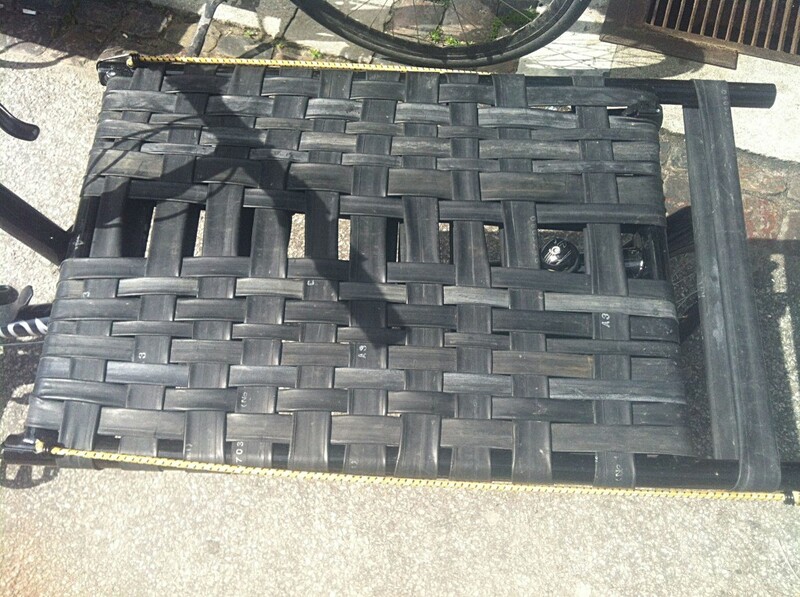 That is a TOUGH woven deck. Multi-layered. When it’s cold you need extra protection! Boxes and boxes and boxes of stuff. 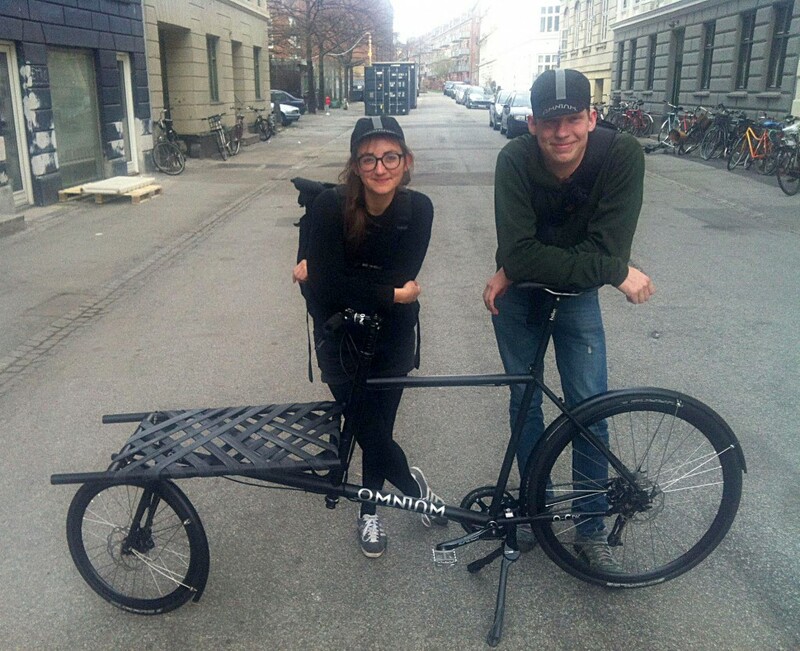 This Omnium is headed for happy town. 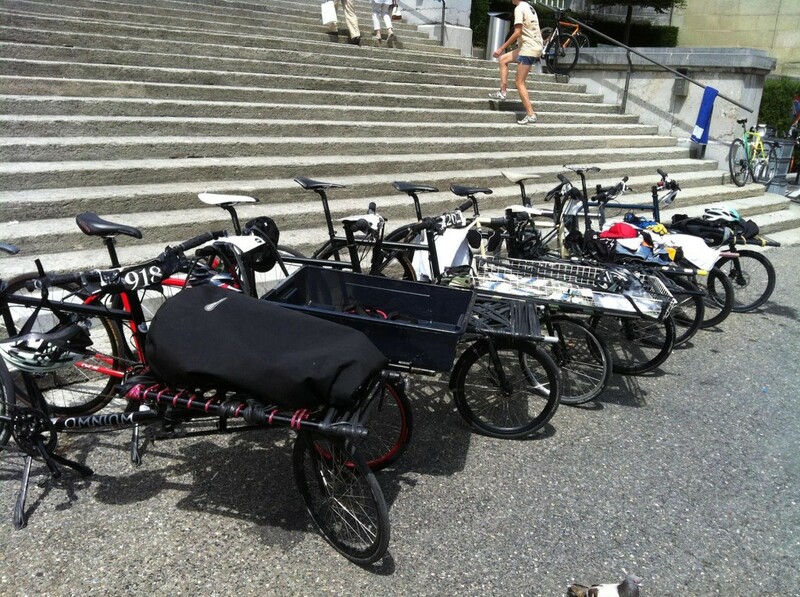 Some of the Omniums at the Cargo Messengers World Championship ’13.